I’m looking forward to hearing, seeing & photographing Vision Fest 16 in New York City…..more details and photographs to come! 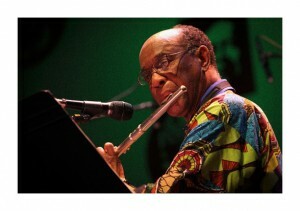 The images here are of the legendary Joseph Jarman from Vision Fest 15. Live Performances → Ira Sullivan and Willie Pickens Turn 80! In celebration of the 80th Birthdays of both Ira Sullivan & Willie Pickens, both will perform this week at Joe & Wayne Segal’s Jazz Showcase. More details and photos to come! In celebration of the 85th Birthday of Miles Davis, the beautiful Carmel Palladium celebrated in a big way with two great sets of Davis classics. 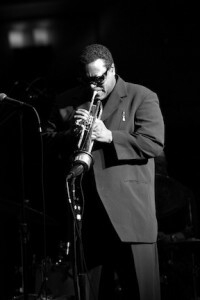 The first set featured Wallace Roney, channeling Miles in a way no one else can. Along side was an all-star cast of musicians including Donald Harrison on alto, Javon Jackson on tenor, George Cables on piano, Buster Williams on bass and Lenny White on drums. This set was dedicated to “early” Miles featuring some of his well know tunes such as My Funny Valentine, So What, Walkin, Autumn Leaves and an encore of the classic tune, All Blues featuring a nice solo by Lenny White. After a brief intermission, bassist Marcus Miller along side trumpeter Sean Jones, saxophonist Alex Ham, Louis Cato on drums and Frederico Pena on keyboards performed a set of Mile’s tunes from his later electric period including “Splatch” from the 1986 recording “Tutu” which Miller had a his hands all over. 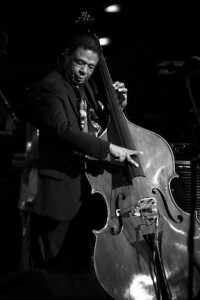 Other tunes included the Ray Nobel penned classic “Cherokee”, and “Jean Pierre” recorded for the 1981 album “We Want Miles”. 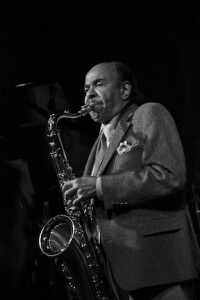 The legendary Benny Golson made a rare club appearance in Indy, performing at The Jazz Kitchen on Saturday April 30th. I raced from another show just in time to catch Benny’s second set with pianist Steve Allee, bassist Frank Smith and drummer Jason Tieman. Benny treated the packed house to many of his jazz standards including Along Came Betty, Stablemates, Killer Joe, I Remember Clifford and more. 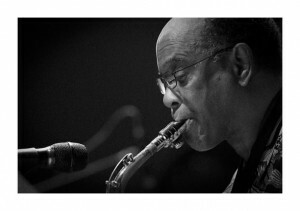 If you’ve seen Benny before, you know he likes to reminisce about the early days in his career, sharing many great stories of meeting and playing with John Coltrane, the day Clifford Brown died….a real jazz history lesson from a guy that was right in the thick of it. You are currently browsing the No Room For Squares blog archives for May, 2011.